revised EBMT diagnosis and severity grading criteria for VOD in adults and new information on risk factors for VOD. This tool comprises a comprehensive slide resource that can be used in its entirety or in parts. It is designed for self-learning, as well as for you to help educate colleagues on active management of VOD. The modular format of the programme allows the tool to be adapted to a presentation format. Whilst the modules are predefined, it is also possible for presenters to select the slides that meet their audience’s educational needs. To view correctly, please download all files to the same folder location and open. These slides are designed to be viewed on a Windows computer. If viewed on a tablet or mobile device, some links and content may not display as intended. 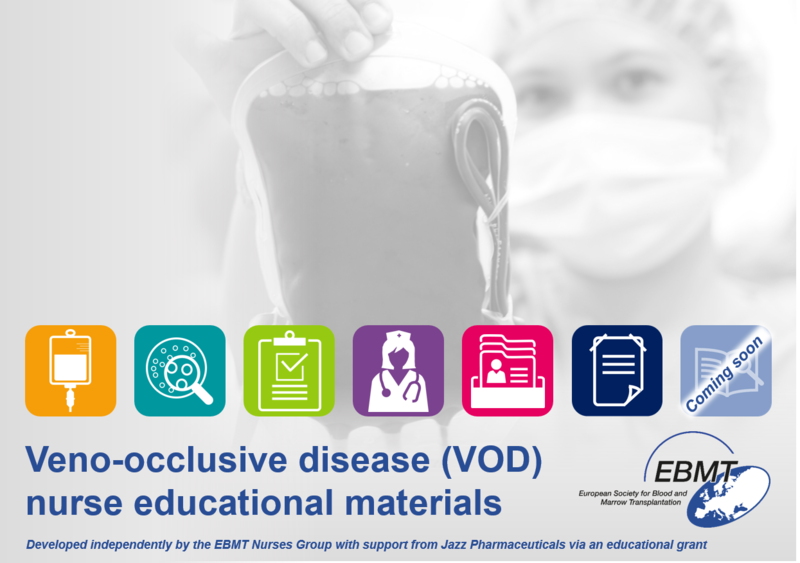 Take the VOD Quiz administered by EBMT UK NAP. Registration is free and necessary so that your name can be printed on the certificate when you pass. We welcome any feedback on how the resource is being used in your country. Please provide suggestions and feedback to us by emailing at: VODfeedback@ebmt.org. Developed independently by the EBMT Nurses Group with support from Jazz Pharmaceuticals via an educational grant.